Fill your empty walls with a contemporary and stylish artistic 5 panel Canvas Cluster. Simply upload or e-mail us your digital images and we'll take care of the rest! By buying this product you can collect up to 42 loyalty points. Your cart will total 42 points that can be converted into a voucher of $8. 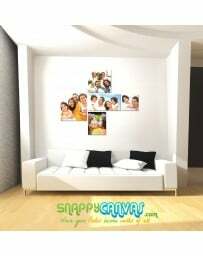 Decorate your walls using your own digital photos to create contemporary canvas clusters. Its an outstanding and affordable way to make walls go from bleh to wow! 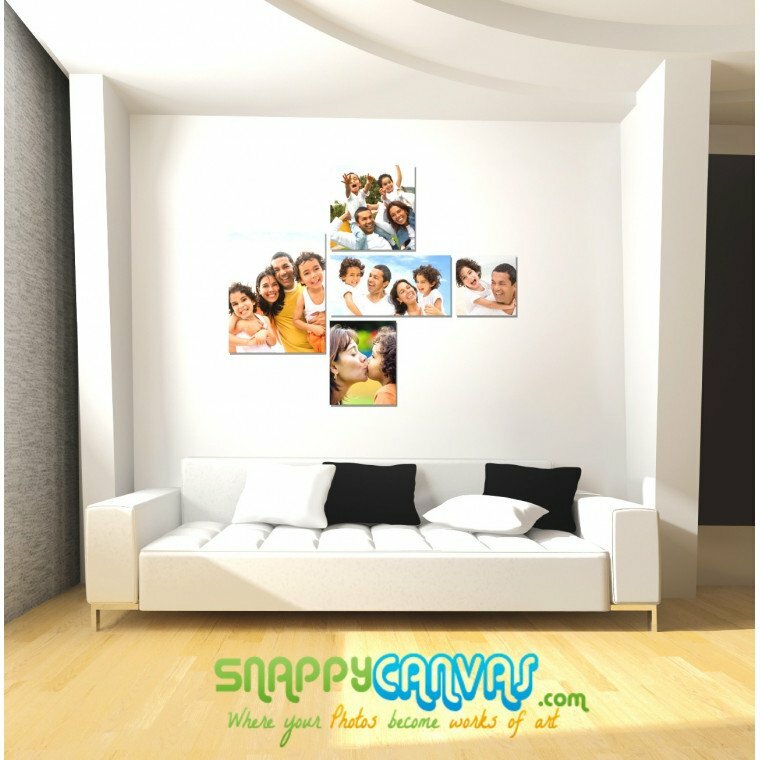 Upload your photos and or email them to customercare@snappycanvas.com. 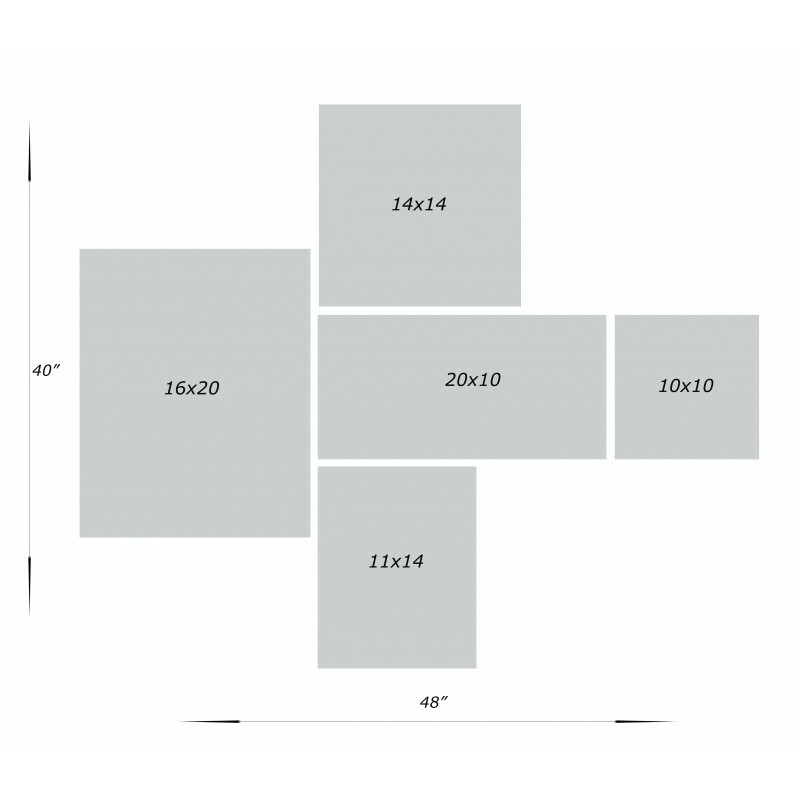 Canvas clusters allow you showcase your digital photos by enlarging them into multiple canvas to make for beautiful and chic wall art. Basic enhancement is included and if you need extra touch up you may select the e-proof option. If you have specific request or instructions you are welcome to the include them with your order as well. Canvas is specially treated to resist harmful ultraviolet rays.